As a necessary part of due diligence, school leaders must ask probing questions before committing to an intervention and research is an important source of information. In previous posts, I’ve highlighted academic work that explores for example, the importance of rhythm in infant language learning (October, 2015), the development of reading skills (March, 2015) and language processing in the auditory brainstem (November 2015). It’s important to consider the extent to which school leaders can have confidence in the rigour of scholarly work and peer-review. A peer-review panel made up of academics with specialism in a particular field is uniquely qualified to judge that an article is not only relevant to the readership and methodologically sound, but also meets the ethical and academic standards of the publication. Many journals now offer free access to high quality, peer-reviewed content considered to be relevant to a wider readership (e.g. Long, 2014). Incredibly, more than 5,000 academic papers are published each year in journals on the role of shared or overlapping neural structures known to contribute to linguistic processing and musical processing. Although many people intuitively believe that it may be possible to isolate and identify a ‘single mechanism’ that might explain the overlap between language and music, it is becoming more likely that several interconnected mechanisms or networks may be involved (e.g. Peretz et al., 2015). 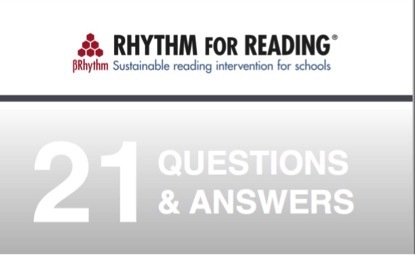 When pupils in key stage one, key stage two and key stage three have taken part in the Rhythm for Reading programme, they’ve described benefits to their reading, concentration and attitudes to learning, suggesting that the impact of the programme is fairly broad. 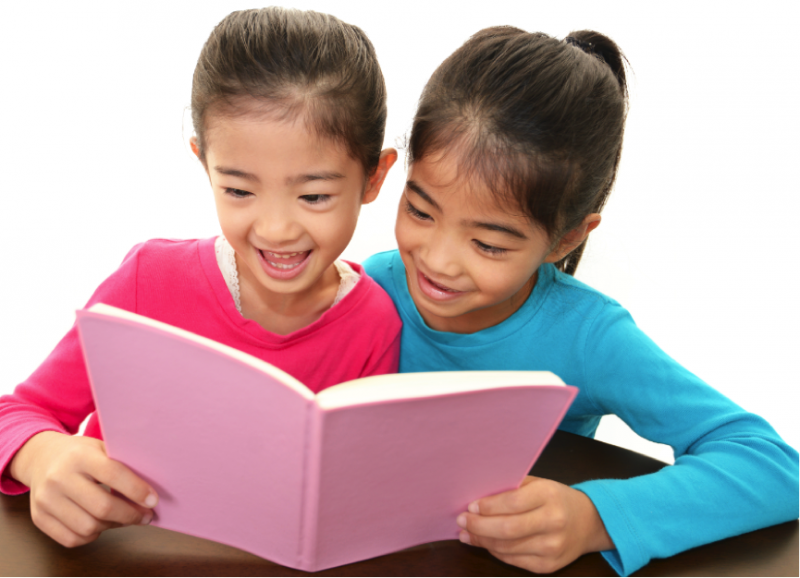 Recent research with older pupils in a special school has also demonstrated clear benefits of the programme on reading attainment and other areas of learning behaviour. Consultation meetings with school leaders have sparked interesting discussions, with particularly popular topics which come up again and again. 1. The structure and content of the Rhythm for Reading programme. 2. The ‘single mechanism’ that might explain how the programme works. 3. The suitability of the intervention for different groups of children, for example pupils identified with EAL or SEND or FSM. 5. The development of the Rhythm for Reading programme. As these are really popular questions, I’ve made a useful free resource for school leaders, please click here to have a read. Marion Long. ‘I can read further and there’s more meaning while I read’: An exploratory study investigating the impact of a rhythm-based music intervention on children’s reading. Research Studies in Music Education (2014): 1321103X14528453. Peretz, Isabelle, et al. “Neural overlap in processing music and speech.” Philosophical Transactions of the Royal Society of London B: Biological Sciences 370.1664 (2015): 20140090. By nine years of age, children have assimilated a vast amount of information about their culture simply by learning through experience. Enculturation is a particularly powerful form of deep learning that shapes children’s attitudes and perceptions of the world in which they are growing up. Through working in many schools, I’ve observed that by the age of nine years, children have, through this process of enculturation developed a strong emotive response to the concept of ‘teamwork’. A few months ago, I sat down on the floor of the school hall with ten children as they embarked on their first Rhythm for Reading session. I explained that we would be doing lots of teamwork. Four of the children said “Yessss” in a loud stage whisper and wriggled in delight, huddling cosily together. The others looked at me in complete horror. Although they sat quietly, their sharply drawn breath, their tense shoulders and stunned faces communicated their utter dread of teamwork clearly enough.Obviously, when a teacher chooses two team captains and tells them to pick teams in front of the class for a games lesson, each child’s worth or ‘value’ to their peers is revealed. To be picked first for a team is a deep honour and to be picked last, a deep humiliation. Presumably, these feelings have an enhancing or diminishing influence on the child’s performance in the team, but these experiences will over time impact on a child’s self-esteem. This harmful practice can be avoided by asking the team captains to privately pick their teams from a list of names at the teacher’s desk. Bhide, A., Power, A.J., & Goswami, U. (2013). A rhythmic musical intervention for poor readers: A comparison of efficacy with a letter-based intervention.Mind, Brain and Education 7(2), 113-23. Long, M (2014) “I can read further and there’s more meaning while I read”: An exploratory study investigating the impact of a rhythm-based music intervention on children’s reading, Research Studies in Music Education, 36(1) 107-124. Long, M and Hallam, S. (2012). Rhythm for Reading: A rhythm-based approach to reading intervention, Proceedings of Music Paedeia: From Ancient Greek Philosophers Toward Global Music Communities, pp.221-232, 30th ISME World Conference on Music Education, 15-20 July, Thessaloniki, Greece.